Siem Reap is, despite its relatively humble population size of around 140,000, one of Cambodia’s most bustling recipients of international visitors; for it is through this city that one enters into Angkor, the UNESCO World Heritage Site for which Cambodia is world-famous. And with its jumping nightlife and thrillingly diverse restaurants, Siem Reap itself has plenty to offer too. And for a limited time, cheap flights to Siem Reap are now available; seize your chance to visit this gateway to ancient Cambodia today! 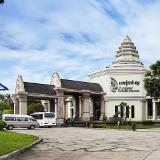 Siem Reap is home to Siem Reap International Airport (REP), which is a 10-minute drive from the city centre. The world-famed ruins of Angkor, the last remnants of the centuries-lost Khmer Empire, are a sight unlike any other in the world. The constant flow of tourists pumps eager new life into the city’s thriving, bouncing nightlife with which the pubs and clubs come alive every evening. The city’s wide array of restaurants and cafés, as well as its thriving street-side stalls, offer visitors the chance to sample delights from across the globe. Like most of Cambodia, Siem Reap boasts a consistently warm dampness throughout the year, with temperatures generally hovering from the mid 20˚Cs to the upper 30˚Cs. The months of December to February, however, stand out as the months with the least rain; they’re the most popular among tourists, and the best time to come should you wish to catch the weather at its most outdoorsy – assuming you’re willing to deal with heavier crowds and higher accommodation rates. By contrast, the months of May until October are marked by the rather relentless rain that has given this island nation its distinctive lush greenness; it’s the best time to come if you’d like to avoid the crowds, but you’d better remember to pack a raincoat. Siem Reap stands as a landmark to the adventurous traveller; for it is through this northern Cambodian city that one steps back through the centuries and into the breath-taking world of Angkor, the capital of the once-mighty Khmer Empire. 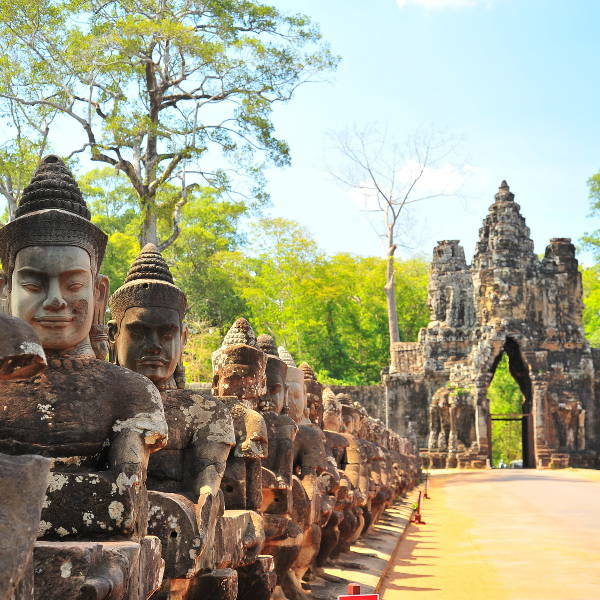 Recognised by UNESCO as a world heritage site, these beautiful ruins are famed across the world, and are emblematic of the distinctive beauty of Cambodia. Siem Reap itself, however, is far more than just a rest stop; though not vastly populated, this city’s constant influx of tourists has given rise to bustling shops, enticingly varied restaurants, busy pubs, and some seriously happening nightlife. You’ll come to immerse yourself in historical Cambodia; but modern Cambodia might persuade you to stay a little longer than scheduled. 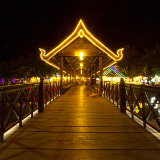 Compare several airlines and book your cheap flights to Siem Reap online at Travelstart! The Centres for Disease Control recommends that visitors to Cambodia ensure that all of their routine vaccinations are up to date before departing, and that, in addition, they receive vaccinations against Hepatitis A and typhoid, both of which have a risk of being spread via contaminated food and water. 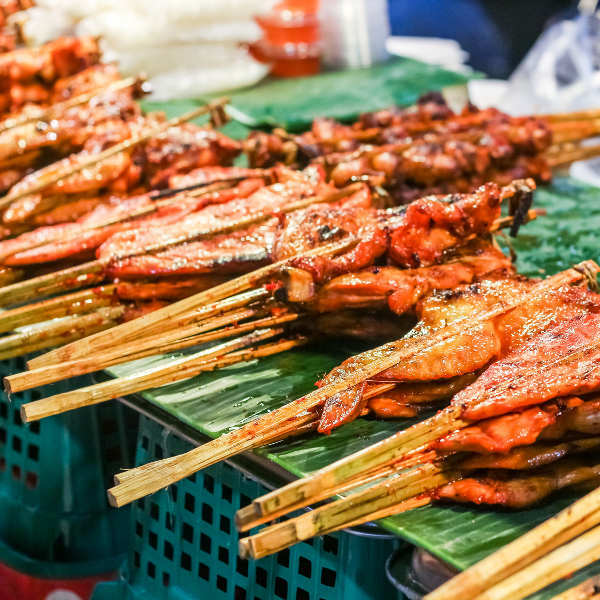 In addition, Cambodia is known to be the site of a number of mosquito-borne infections, including malaria and zika; and while their frequency is generally lower in urban centres, visitors are nonetheless heavily advised to take steps against mosquito bites. 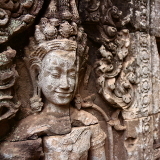 In terms of safety, Siem Reap is frequently seen as one of Cambodia’s safest locations. 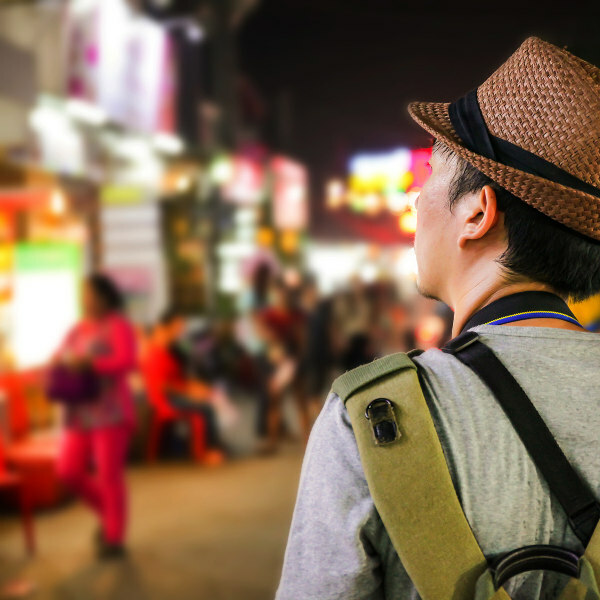 While one is advised to take common precautions against petty crime, such as not leaving one’s valuables unattended or wandering the streets late at night, one has generally little to fear in this peaceful tourist hub. Naturally, having been the recipient of wide-eyed tourists for years, Siem Reap has developed an extensive array of accommodation outlets of varying levels of affordability and luxury, from quaint and humble guesthouses and hostels to lush five-star establishments. Prices are immensely varied, ranging everywhere from under ៛25000 to over ៛1400000. The flat and reasonably sized nature of Siem Reap means that many of its key points are easily accessible by foot, or on the bicycles that can be affordably rented from many of the guest houses; however, other forms of transport are also available to any traveller who may be in a hurry. Most notable, and typical to Southeast Asia, are the city’s many forms of taxis, which include ordinary taxis, motorcycle taxis (or “motodops”), and auto-rickshaws (or “tuk-tuks”). All three of these can be readily hailed down from almost any street corner; however, due to the frequent lack of fixed rates, and the often limited English fluency of the drivers, one would ensure that a fare is firmly negotiated, and that one’s destination is asserted, before setting out.